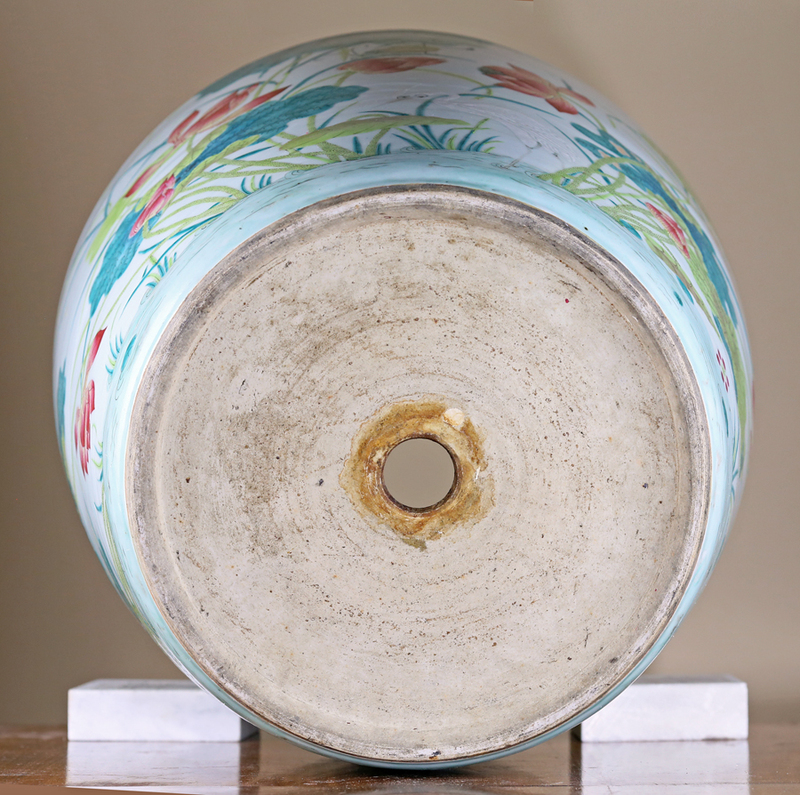 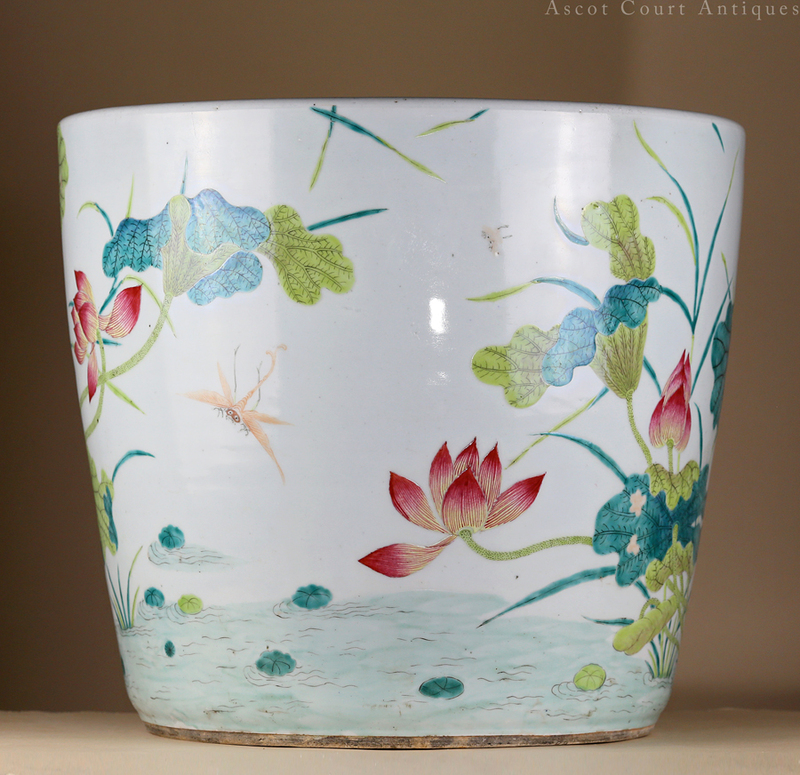 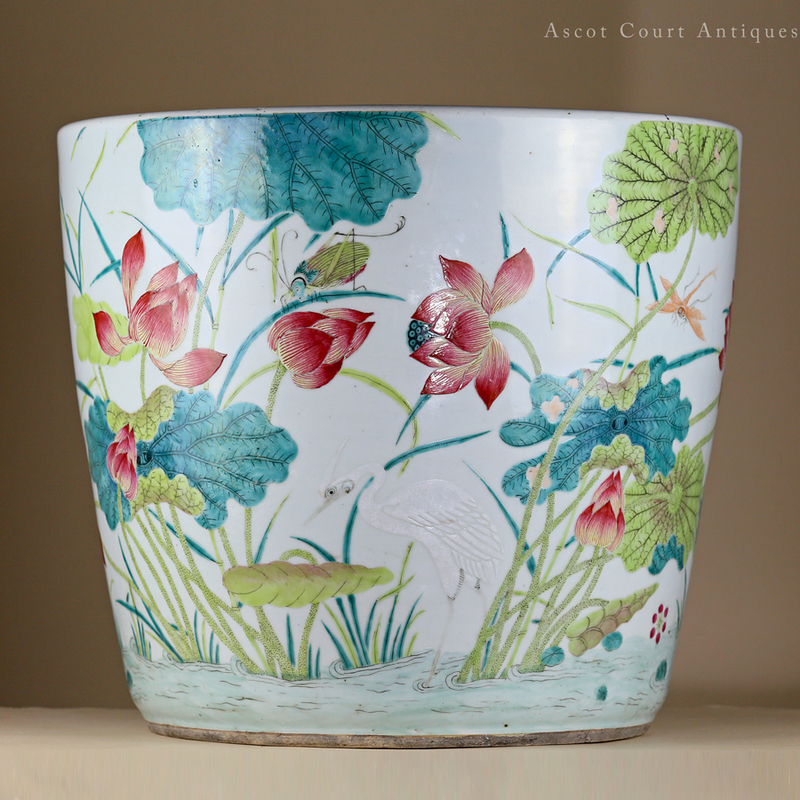 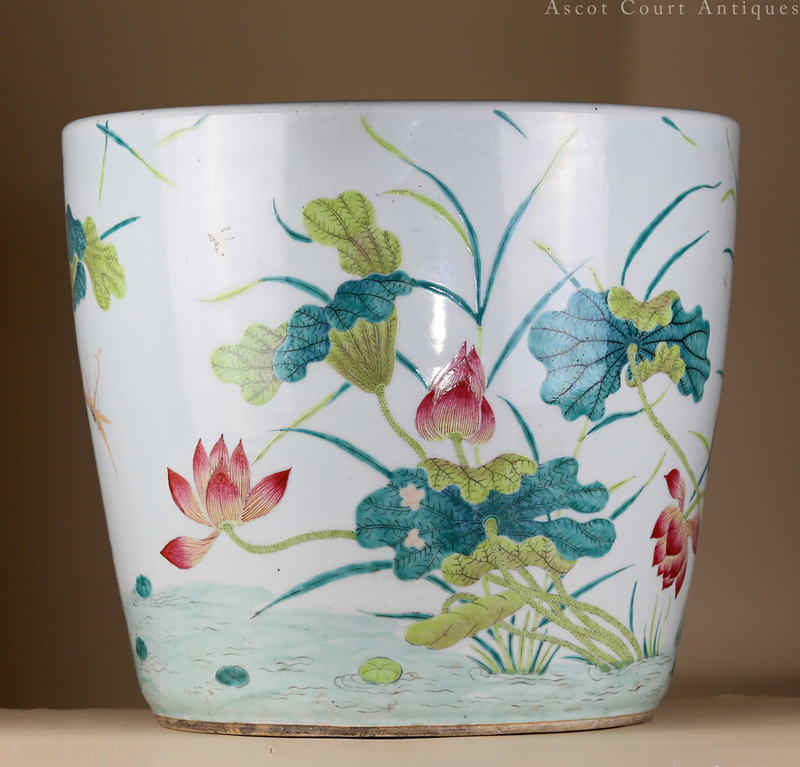 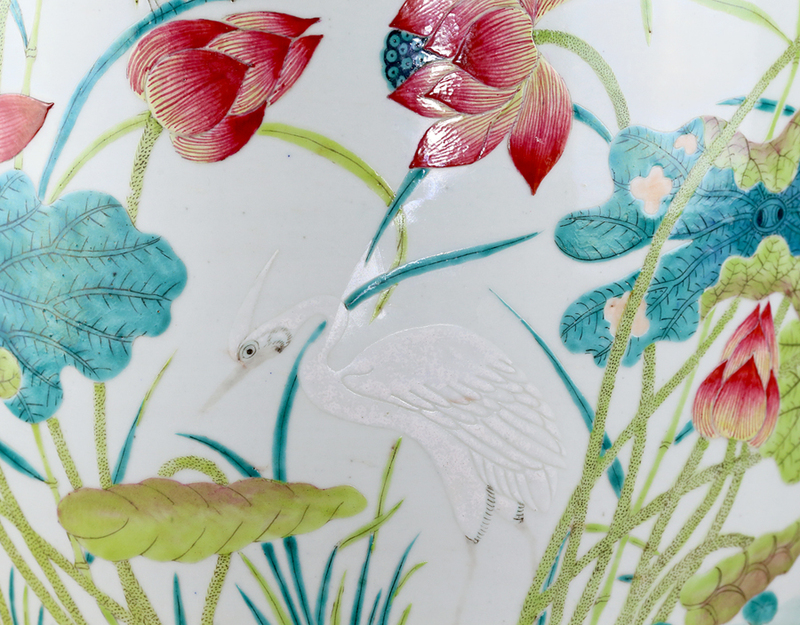 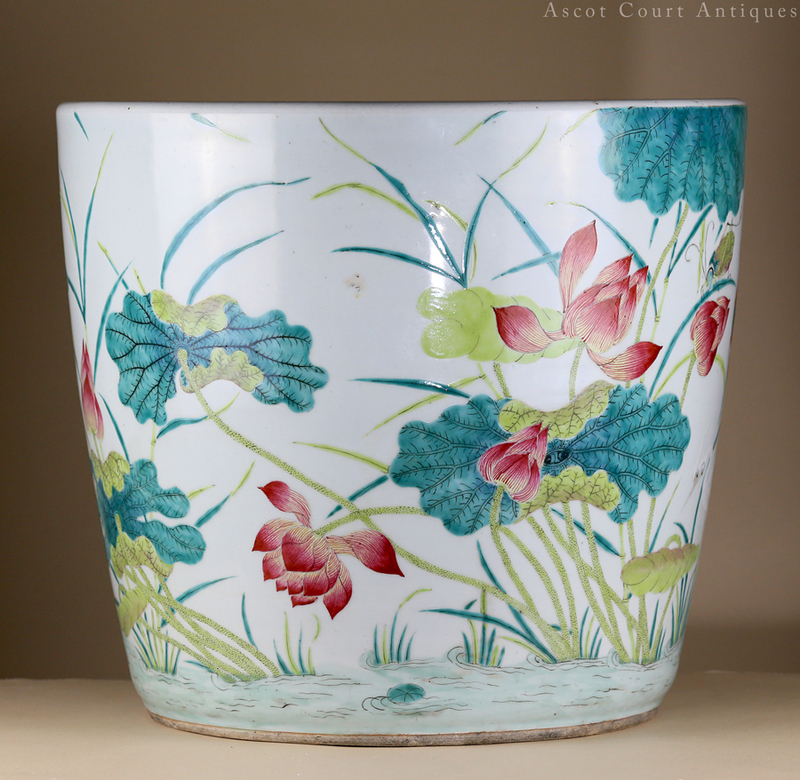 A splendid and large mid-Qing Daoguang period jardiniere, sumptuously painted with famille rose enamels throughout and bearing a panoramic scene of a heron and other fauna in an aquatic ecology rife with leafy lotus and other flora. 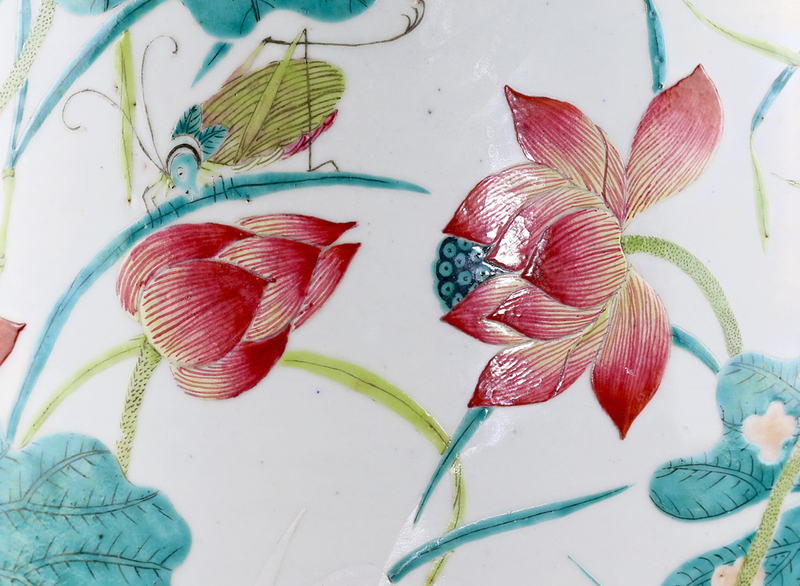 Characteristic of famille rose pieces produced prior to 1850, the enamels have a fresh and vibrant quality that leans slightly towards the pastel shades. 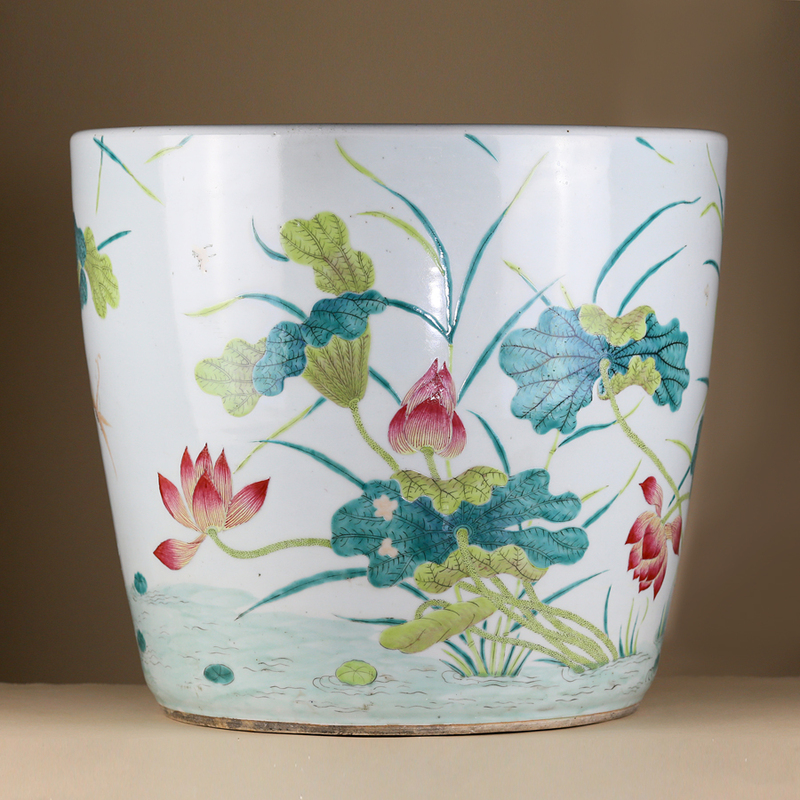 The painting workmanship is vigorous and full of movement; the aquatic plants seem to move with an unseen breeze. 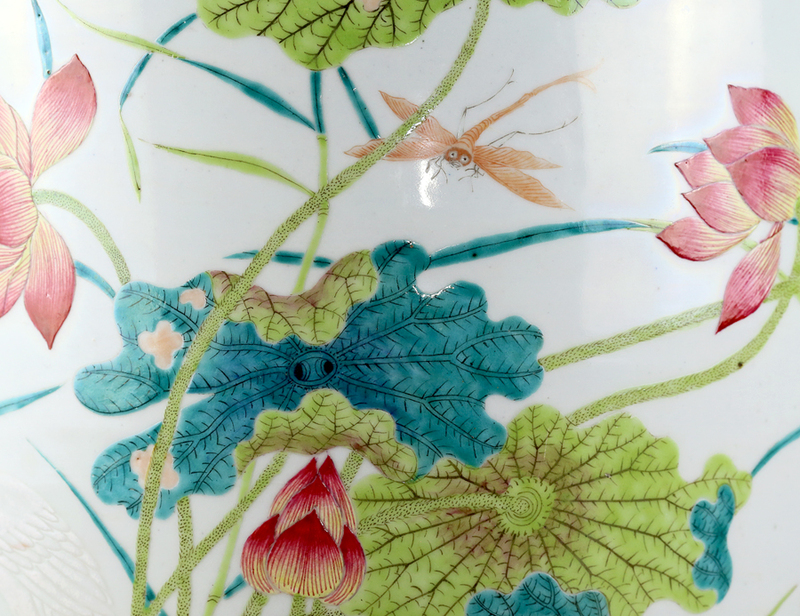 Jingdezhen porcelain decorated with continuous scenes against a simple white ground (as opposed to compositions reliant on patterned borders and cartouches) are celebrated for their painterly quality, and are typically associated with Chinese-taste porcelain made for the domestic market rather than those exported abroad. 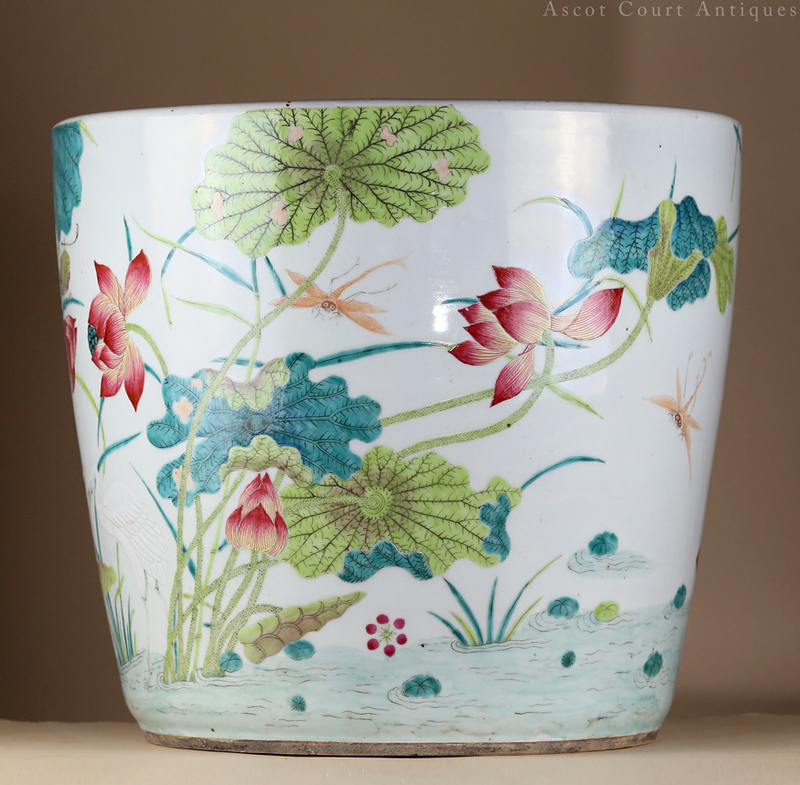 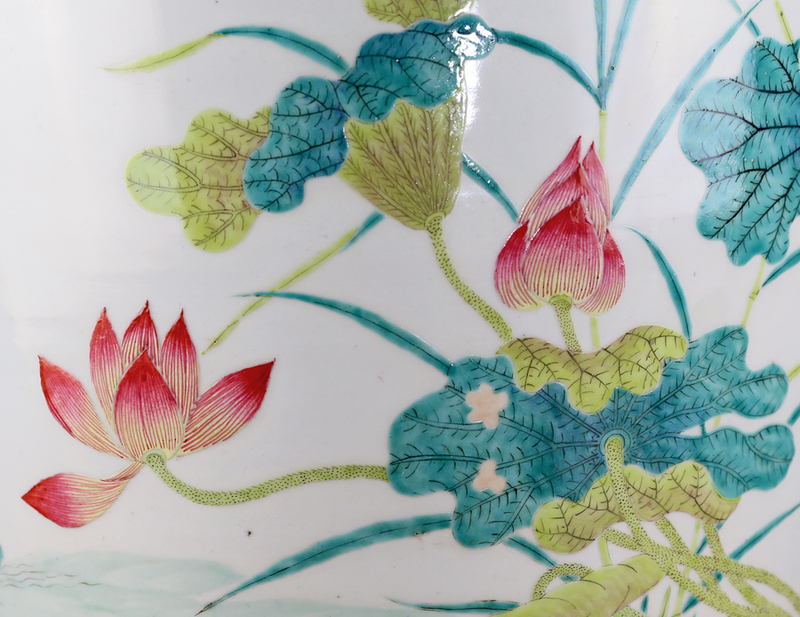 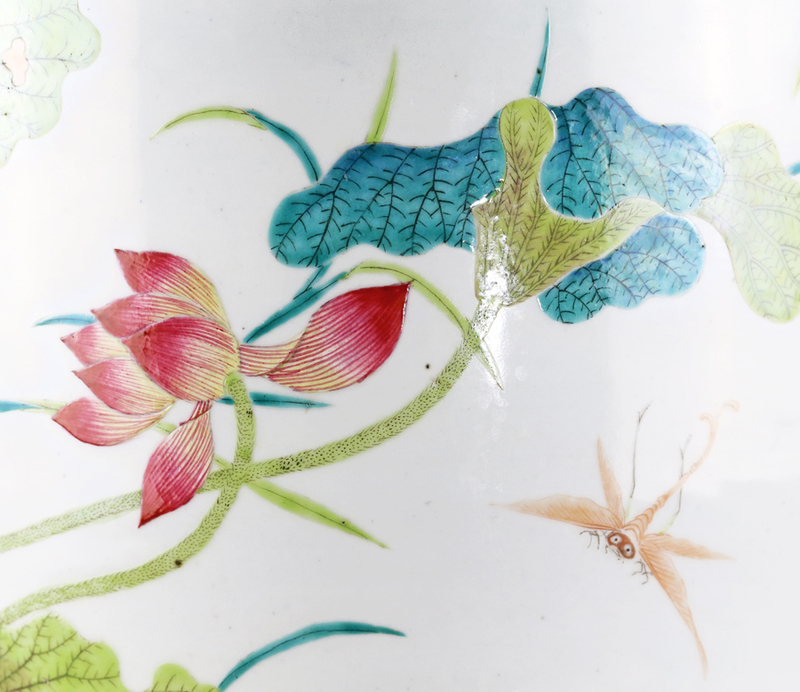 ‘Fauna in a Lotus Pond’is a popular theme seen on Jingdezhen enameled porcelain since the Kangxi period. 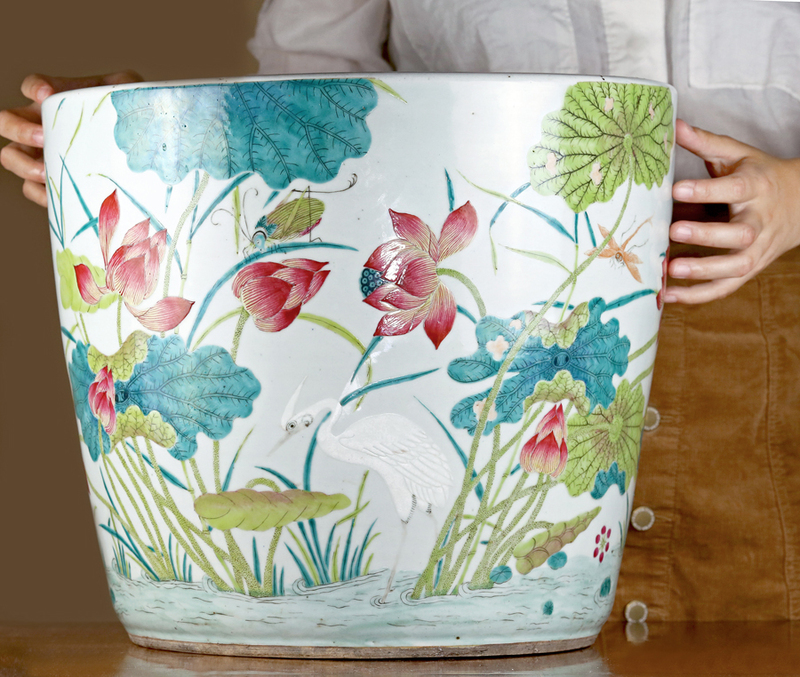 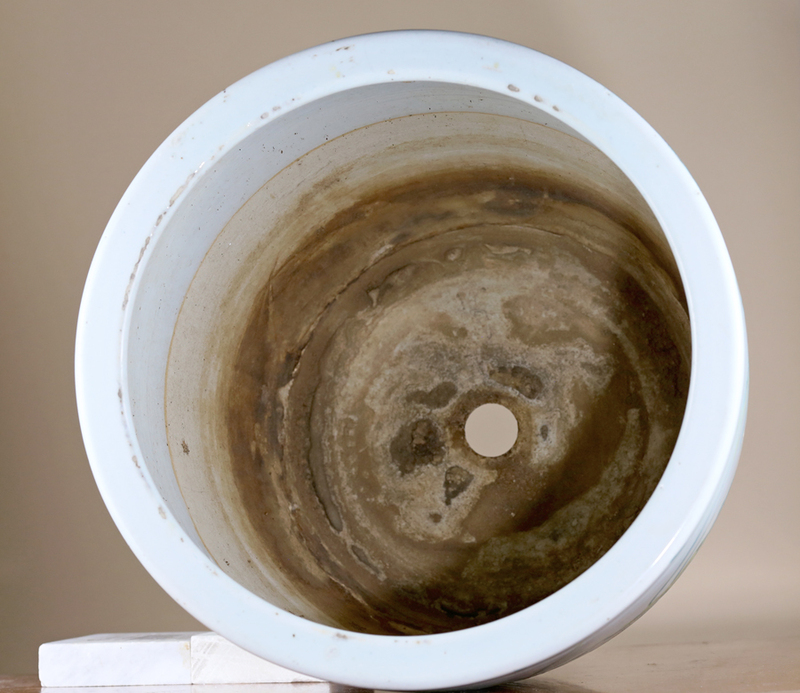 Please note that this piece is extremely heavy at 12.6 kg in weight.